In the near future, an older and weary Logan (Hugh Jackman) is caring for and hiding an ailing Professor Charles Xavier (Patrick Stewart) on the Mexican border. But their isolation is disturbed when a young mutant named Laura (Dafne Keen) arrives, bring dangerous forces with her. Logan is a magnificent film quite unlike anything in the superhero movie genre we’ve seen before. It’s set in a near dystopian future, most mutants are gone and those who are left are in hiding, and the imagery and setting often feel more like a Western than a superhero film. This almost change of genre makes Logan a much smaller, character driven film. While there are other characters, both good and bad, throughout the film it really is all about Logan, Charles and Laura, their relationships and their journeys. Also with Logan being a more personal film, there appears to be less CGI. While it’s naïve to think there’s not a lot (every time Logan unsheathes his claws there’s computer work there) it feels more real and there’s not the usual explosions and over the top superhero fight scenes. That being said, there is definitely a lot of violence in Logan (it is a 15 after all) but while it is brutal it isn’t gratuitous. There is also more swearing which, like the violence and both Logan’s and Laura’s rage, fits the characters and film perfectly. Logan never goes over the top with what it’s “allowed” to do with a 15 certificate, every choice is true to the characters and to the story. 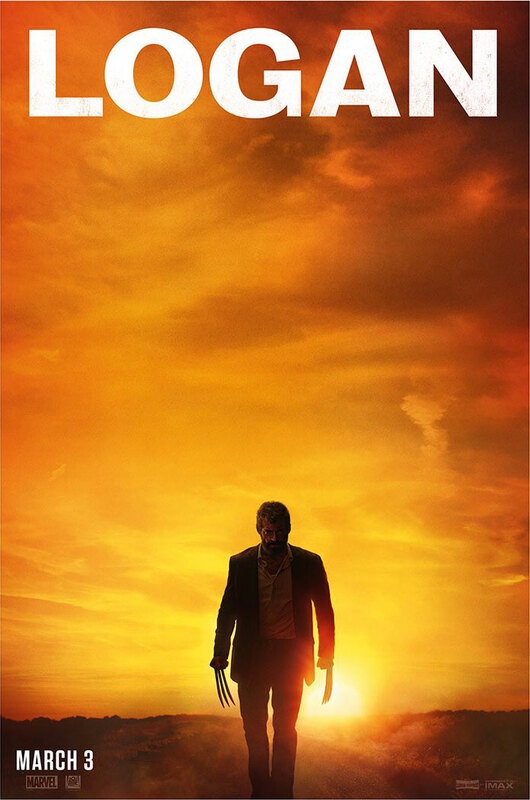 In Logan you get to see a different side to the titular character. He’s older, a drinker, his body doesn’t heal like it used to, he’s not a happy man but he’s trying to make a living and keep those he cares about safe. It’s incredible to think that Hugh Jackman has been playing this character for 17 years and in Logan he gives his best performance, mainly because we get to see Logan a completely different man compared to the previous films. Life has gotten Logan down and it takes a lot for him to care for anyone or anything and he definitely doesn’t care about himself. Patrick Stewart also gives a great and very different performance as Professor X – he’s forgetful, he’s cranky and is very much an old man in need of help. Then there’s Dafne Keen as Laura. She is a captivating presence, feral but also has this innocence making Laura someone you’re wary of but also someone you want to protect. She holds her own against Stewart and Jackman and when it comes to the fight scenes she manages to be both awe-inspiring and terrifying. Dafne Keen is an actress to watch. Logan is the perfect swansong for Stewart and Jackman as well as being a brilliant and unique addition to the X-Men franchise. Though Logan is a part of the X-Men universe (a universe where the continuity is pretty wonky to say the least) you don’t need to have seen every single X-Men film to understand and enjoy it. Logan is tense, exciting and thrilling. It has moments of humour that never lessens the stakes and it has moments of heartbreak as you watch these characters’ struggle to achieve what the set out to do. Not to speak too soon but I feel Logan is (hopefully) a game-changer in the superhero genre, showing not everything has to be connected to a wider universe and character driven stories work just as well – in fact good stories full stop are what the superhero genre needs. Simple, character focused stories with a good plot automatically make a good film, while I enjoy pretty much all superhero fare it would be nice for the studios and filmmakers to remember that. Hopefully Logan will join the likes of Spider-Man 2 (2004) and The Dark Knight (2008) as one of The Best Superhero Movies ever made. 5/5. Excellent review! I loved it too – definitely worth seeing on the big screen!